Always on the go with your dogs? Hate having to carry a separate bowl to put water in? Sharing water with your dog has never been easier. AutoDogMug is the first and only one handed water bottle for your dog is easy to use. Just squeeze the bottle and water will fill the bowl. Once you release your squeeze, whatever water is left in the bowl will drain back into the bottle. 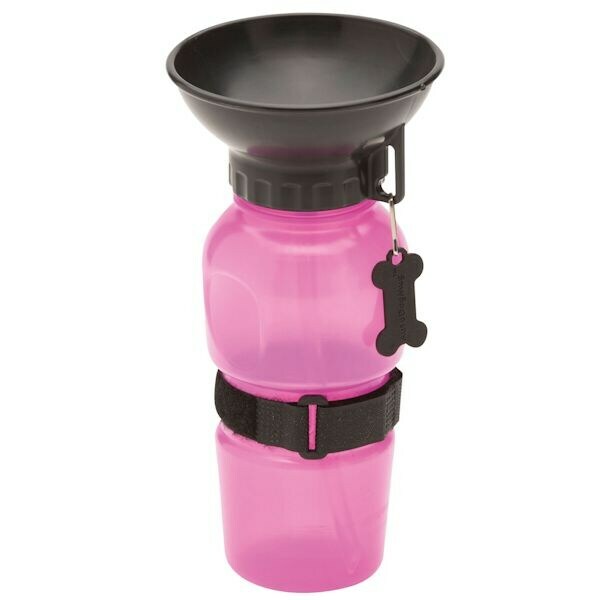 Holds 20 ounces / 29.5mL of fresh water for your pooch. Fits perfectly in standard car cup holder for quick, easy one handed access while stopped at a light. AutoDogMug is leak tight, food safe, and BPA free. 100% Made in USA.